A safe and speedy method of adding a splash of festive colour to your home and garden in just a few minutes. 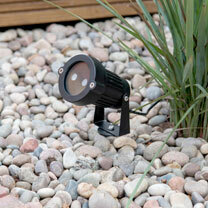 Simply position this weatherproof device on your lawn, border or in a planter and switch on using the remote control. From 5m away the beams spread will cover an 8m x 8m area. A larger area will be covered from further away. 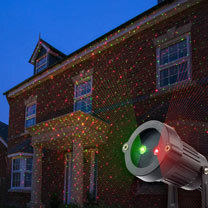 Select red, green or both, continuous or pulsating lighting option. Unit size 8 x 6cm diameter. Bracket 5.5 x 5cm. Spike 16cm. Landscape Light Projector provides a safe and speedy method of adding a splash of festive colour to your home and garden in just a few minutes. 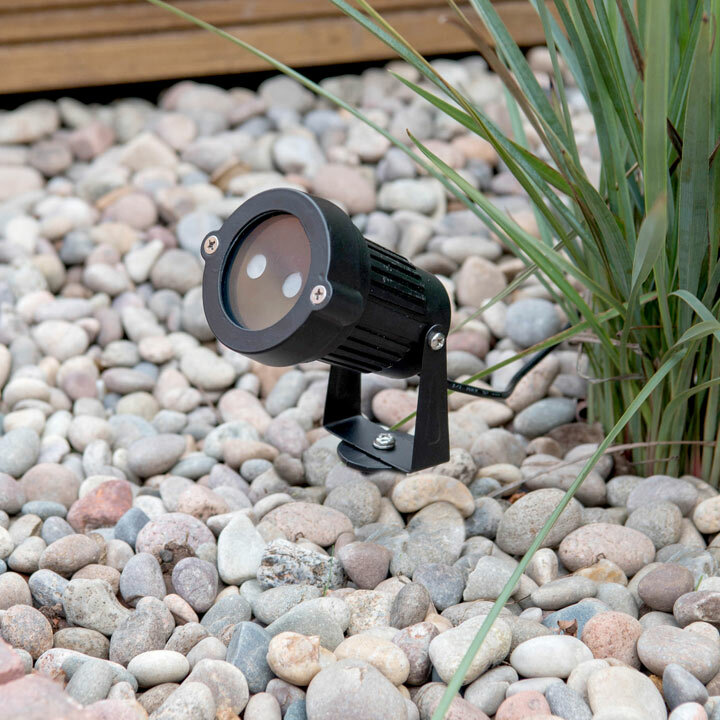 No more struggling up ladders…simply position this clever weatherproof device on your lawn, border or in a planter and switch on using the remote control. 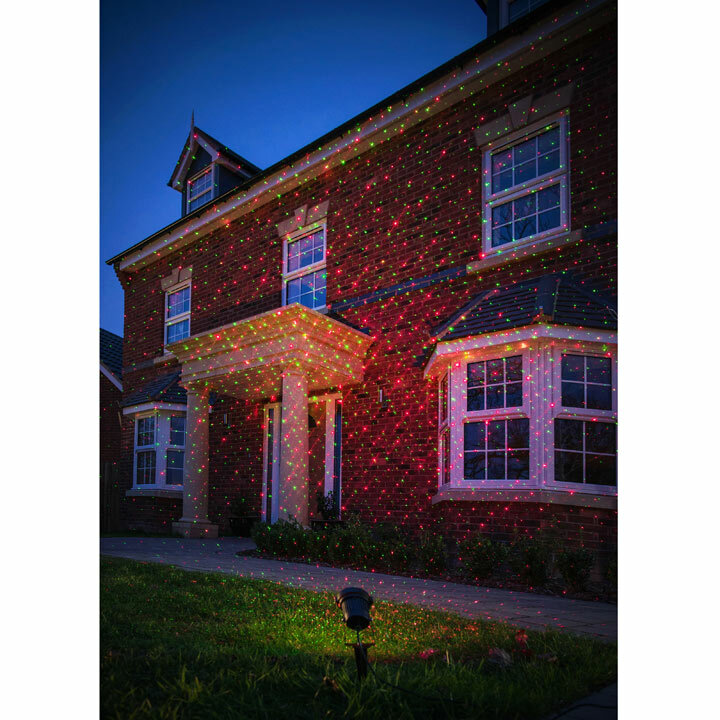 Illuminate your home, garden or trees with more than 1000 dazzling points covering areas traditional lighting cannot reach. From 5m away the beams spread will cover an 8m x 8m area. A larger area will be covered the further away the unit is positioned. 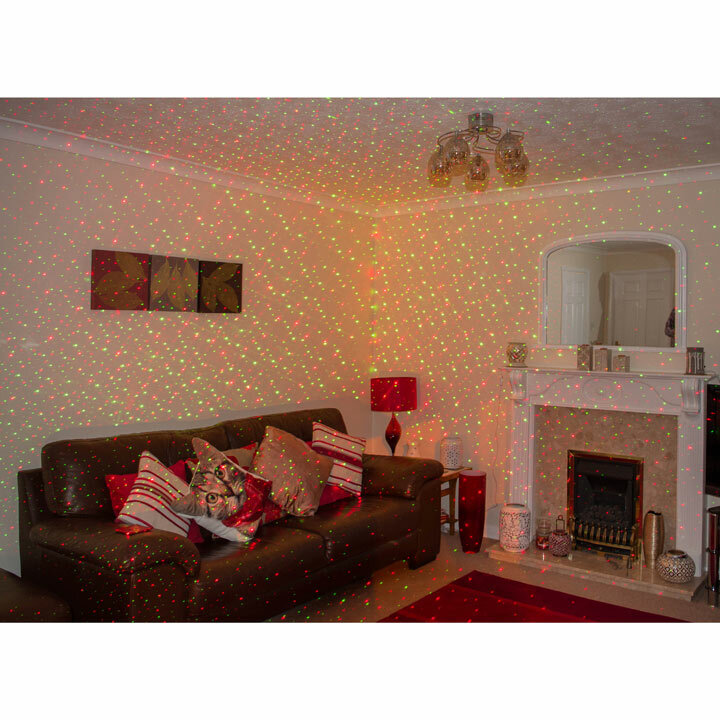 Select the desired colour red, green or both and choose the continuous or pulsating lighting option at the touch of a button. The remote control has a timer function enabling a choice of 0.5h, 3h, 5h or 8 h setting. Weatherproof for all-year-round use. Great for any occasion, summer garden parties, birthdays and the festive season, can also be used indoors. Operating temperature -15o to 35oC. 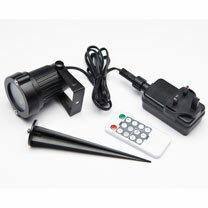 IP44 waterproof and dustproof casing and adaptor with 3m of cable. IP65 waterproof and dustproof aluminium casing. Beams: 60-100mW 650nm Red, 15-40mW 532nm Green. More than 1000 static points. 230V, 50HZ, 3W. Select the desired colour red, green or both and choose the continuous or pulsating lighting option.